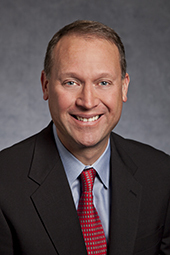 Dave Huml joined the Company in November 2014 as Senior Vice President, Global Marketing. In January 2016, he also assumed oversight for the Company's APAC business unit and in January 2017, he assumed oversight for the Company's EMEA business. From 2006 to October 2014, he held various positions with Pentair plc, a global manufacturer of water and fluid solutions, valves and controls, equipment protection and thermal management products, most recently as Vice President, Applied Water Platform. From 1992 to 2006, he held various positions with Graco Inc., a designer, manufacturer and marketer of systems and equipment to move, measure, control, dispense and spray fluid and coating materials, including Worldwide Director of Marketing, Contractor Equipment Division.